Rolling into the new year, our skaters are training hard in preparation for the new season, and do we have some surprises for you! 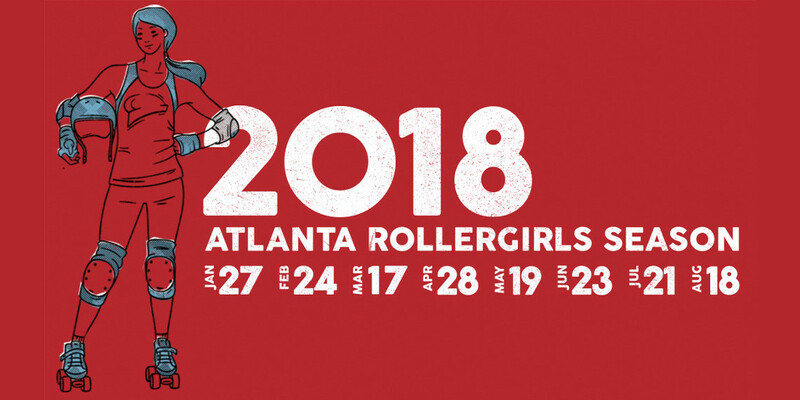 2018 brings us a cacophony of shiny new things about the Atlanta Rollergirls and an equal amount of excitement to bring them to you! 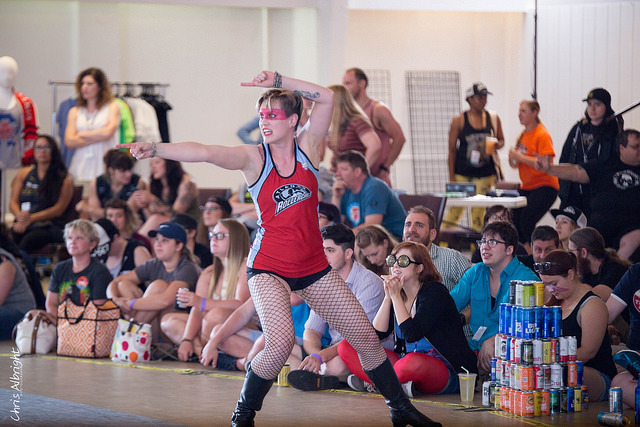 This year, we have a brand new home for the league, a makeover for one of our home teams, AND an upgrade to your bout viewing pleasure! We can’t wait to share all the NEW with you! 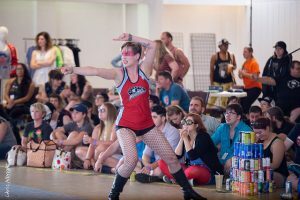 The Atlanta Rollergirls have had a fantastic run at the headquarters in Norcross, but as with most things in life, all good things must come to an end. Over the off-season, we bid a fond adieu to our Wilwat practice space and set up our new and improved digs over in Mableton. 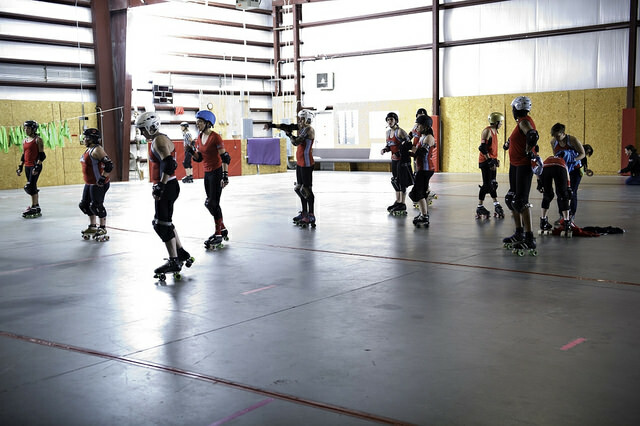 Extra track space and more room for off-skates training are only a few of the perks that come with this move! While home bouts will continue to be held at the Yaarab Temple, we look forward to showing off our fancy new home to those who come in for workshops and training. You can find our new address on the website! When fans come to cheer on their favorite Atlanta Rollergirls home teams this year, they might notice something a little different on the track. No, it’s not regarding the hard hits nor the epic apex jumps– rest assured both will always be full force in the building– this is about the team donning the red and gold. Starting in the 2018 season, your Sake Tuyas will now be known as the Glamma Rays, or Rays for short. As a league that is fortunate to have membership that reflects the diversity we encounter in our daily lives in this city– comprising a colorful crew from a wide variety of racial backgrounds, cultures, and sexual orientations– and one that values inclusiveness for all of its members, the women of ARG deemed it necessary to make this change. Why Glamma Rays? Well, according to NASA, Gamma Rays “have the smallest wavelengths and most energy of any wave in the electromagnetic spectrum. They are produced by the hottest and most energetic objects in the universe.” Likewise, the Glamma Rays are bright, energetic, and glamorous. Be ready for the Rays to penetrate their opponents’ walls like an explosion; so quick they won’t know what hit them. Get excited to cheer on the Glamma Rays! Lastly, in an effort to enhance your derby experience, we are expanding our food and drink sales to include beer! 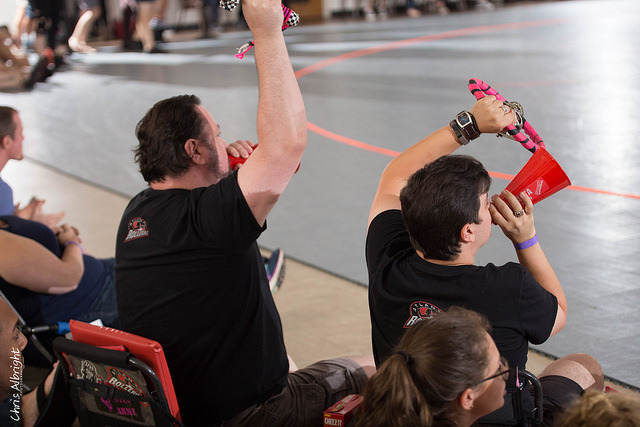 The turn 3/4 beer pyramid has become a welcome staple in our home game experiences, and soon you can purchase your tasty adult beverages without leaving the venue, starting with our February bout! More details will be available as opening sales day approaches, but here’s your forewarning to make sure you bring some extra bills to snag a cold brew while enjoying what our food trucks have to offer! We’re less than a week away from our first home team game of the season, so be sure to grab your tickets early; the home opener frequently sells out! Tickets can be bought online HERE or at the door, as available. 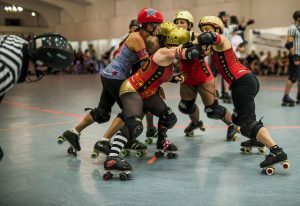 The new Glamma Rays take on the Toxic Shocks at 5 PM and the Denim Demons go up for a rematch against the Apocalypstix at 730 PM! Come see all of the bigger and better things that 2018 Atlanta Roller Derby has for you!